Michel Branamour Menard was born on 5 December 1805 in La Prairie, Quebec, Canada. He married Marie Diana LeClerc circa 1832. Michel Branamour Menard became a widower at the 14 May 1833 death of his wife Marie Diana LeClerc. He married Adeline Catherine Maxwell on 11 November 1837. Michel Branamour Menard became a widower at the July 1838 death of his wife Adeline Catherine Maxwell. He married Mary Jane Clemens Riddle on 18 July 1843 in St. Louis, Missouri, at French Catholic Church. Michel Branamour Menard became a widower at the 2 December 1847 death of his wife Mary Jane Clemens Riddle. He married Rebecca Mary Fluker, daughter of Baldwin M. Fluker and Sarah Quentina Campbell, circa 1848. Michel Branamour Menard and Rebecca Mary Fluker appeared in the US federal census of 1 June 1850 in Galveston, Texas. Other members of the household included Helen Campbell Bass, Clara C. Bass and Michel Doswell Menard. The household actually was enumerated on 16 April 1851. It appears that the enumerator ignored the "as of 1 June 1860" instruction, and included young Doswell, aged 3 months. He was president of a city company, according to the 1850 census. His wife Rebecca Mary Fluker became a widow at his death. Michel Branamour Menard died on 2 September 1856 at age 50 in Galveston, Texas. He was interred at the Old Catholic Cemetery, Galveston, Texas. 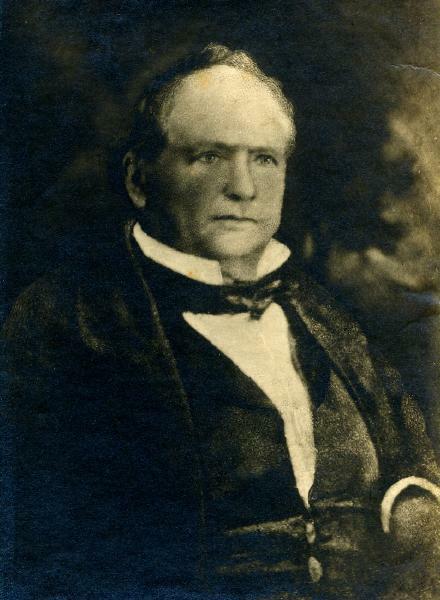 Menard County was formed from Bexar County by the state legislature in 1858 and named for Michel Branamour Menard, the founder of Galveston. The following appeared on 28 February 1982 in The Galveston Daily News: Michel Branamour Menard, "Superman" to the Shawnees and other Northwestern Indians with whom he lived for several years, doubled as Glaveston's mild-mannered founding father and signer of the Texas Declaration of Independence. . . . Michel Brindamour [sic] Menard married four times: first to Miss Diana LeClerc who had one child and one died of cholera at sea; second to Miss Catherine Maxwell who passed away within the first year; third to miss Mary Jane Riddle who died in Glaveston in 1845; and finally to Mrs. Rebecca Mary Bass who survived Menard and continued her residence in the Menard mansion with her next husband, Col. J.S. Thrasher. Michel B. Menard was also survived by one son, Michel Doswell Menard. . . .